Even if you’re not much for adventuring and exploring, you can still enjoy the great outdoors—just throw a party. 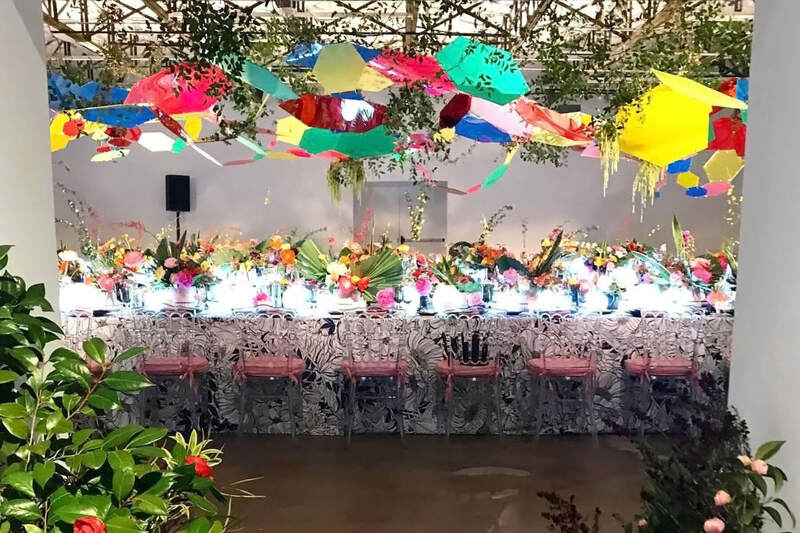 We asked Mary Katrantzou, a hostess known for her great outdoor soirees and for the kind of glamorous outfits made for partying en plein air, for some of her best ideas for a successful party outside. What kind of outdoor space do you most like to entertain in? Do you have your own al fresco area to entertain in, or do you location hunt? 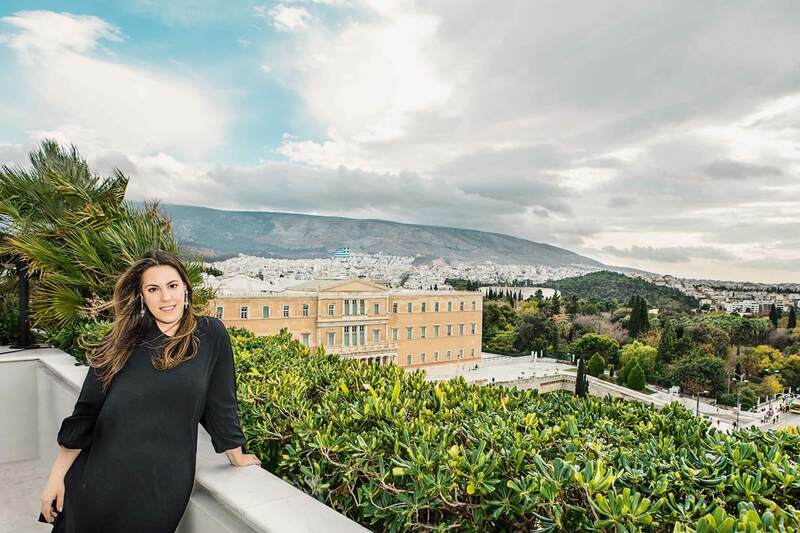 If she had her way, Katrantzou would keep it in the family—her family home in Greece. “There’s a veranda overlooking the old port, and it’s the best spot to have a refreshing cocktail and watch the sunset.” Even if you don’t have a vacation home in Spetses, think about views, and how they’ll change over the course of your event. 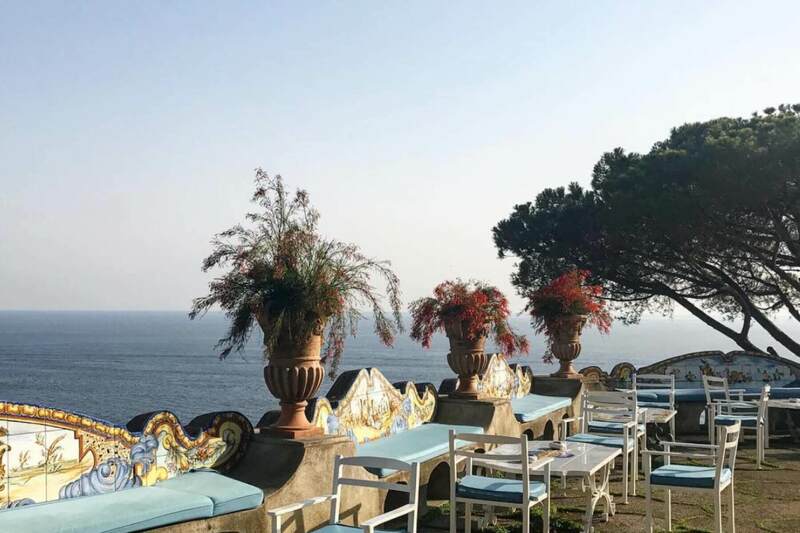 How do you plan the decor, if you use anything special, for an outdoor party? Do you have a particular summer color palette that you stick to? 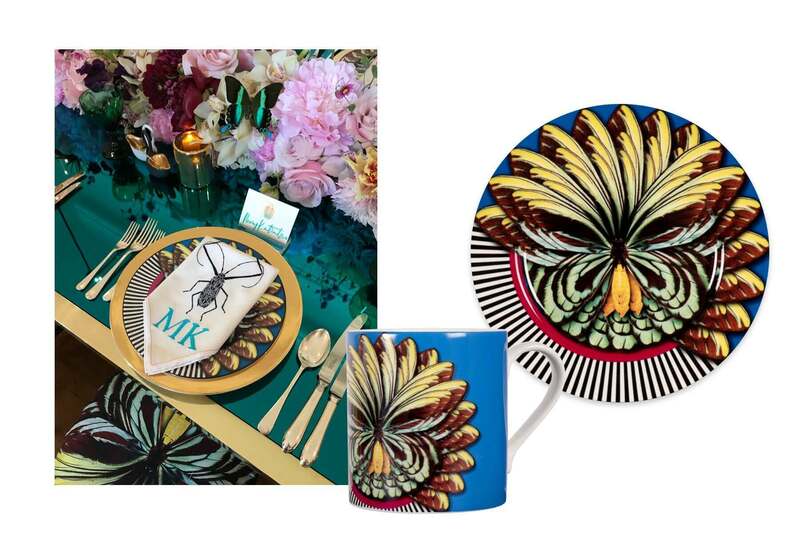 “I recently designed my own tableware collection in collaboration with Waddesdon Manor,” a beautiful historic home and museum in England, “inspired by Walter Rothschild’s collection of rare species.” Even when she’s using other place settings, Katrantzou recommends mixing “different colorways to create a rainbow palette.” It’s perfect for that gorgeous summer light. Do you have a signature drink (or drinks) for something held outside? “Ice cold mastiha! 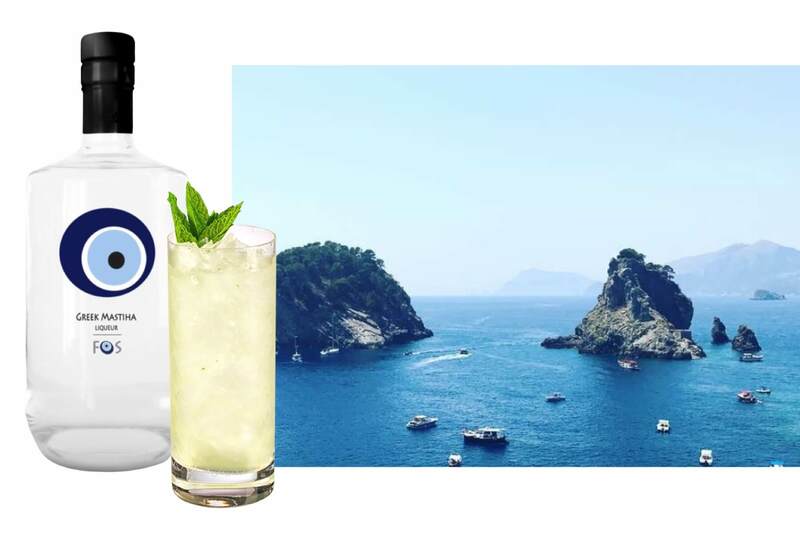 It’s a crowd pleaser for my Greek and non-Greek friends alike.” Mastiha is an herbal aperitif, a cousin of Greek ouzo and French pastis—and like its relatives, it magically turns cloudy when poured into cold water, which is a trick worth keeping in mind. Plan drinks that not only taste great for the weather, but have a little history or visual flair, so you can get guests talking. Do you use outdoor furniture or have another trick for setting up seating and resting spots outside? What’s your favorite memory from a really great party you threw? “My most recent party memory is a very special one. It is from the party we had to celebrate the closing of my first solo exhibition at the Dallas Contemporary Museum earlier this year. We had the dinner inside the gallery, alongside 180 pieces from our archive. It was an honor to be surrounded by the women who inspire me, wearing pieces from their personal Katrantzou collection.” The lesson here? The best part of throwing an outdoor party is making time and space to enjoy the most important people in your life. Got cabin fever? 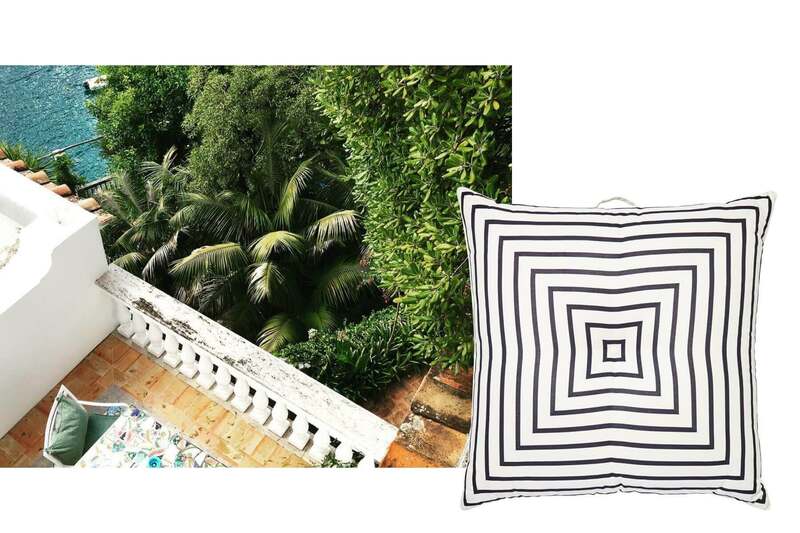 Get outside with our summer entertaining invitations (including some of Mary Katrantzou’s own designs).